Leave these brick to lay as a reminder of the blood spilled upon the earth. These brick were torn down by the persecuted, the oppressed with the last of their breath, with the last of their strength. Leave these bricks to lay. In a perverse final cruelty, the Nazis gave the Jewish prisoners hope. They led them to believe that there was a chance that they would survive. If that prisoner could survive then maybe their loved ones would survive too. Sure, they could be killed by an angry guard or killed because they did not work hard enough. Sure, the work could kill them. They could die from the cold, the heat, the starvation, the disease, the abuse, but also they could survive. That is what the Nazis wanted them to believe. Not so that the Jewish prisoners would work harder or behave, but so that when they were sent to the gas chambers they would go easily without a struggle because they did not know that they were walking willingly to their deaths. 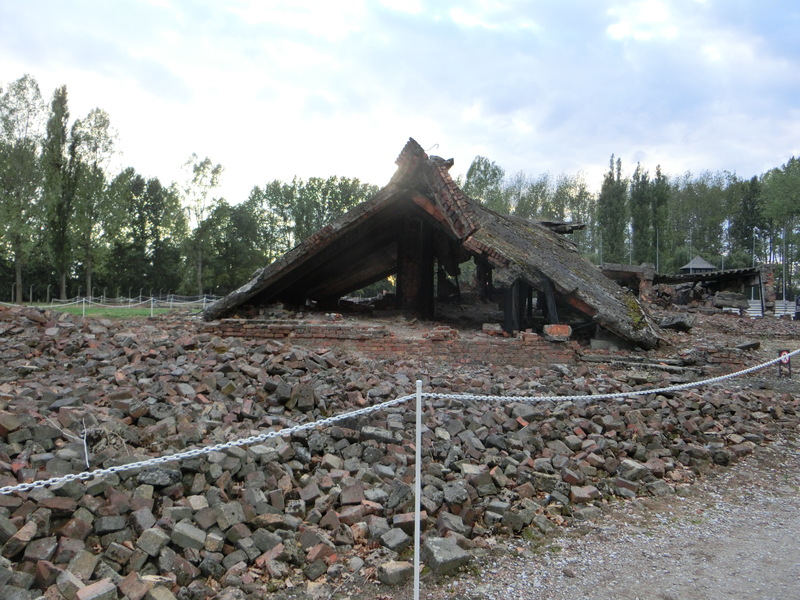 On October 7th, 1944, the Nazis ordered two units from Birkenau to transfer to another camp. The prisoners knew what the word transfer really meant gas chamber, and they revolted. The underground resistance was alive in the camp, and the plan of an uprising had already be in the works, but with the killing of the two camp units where many of the resistance were imprisoned the plan would be killed with them. 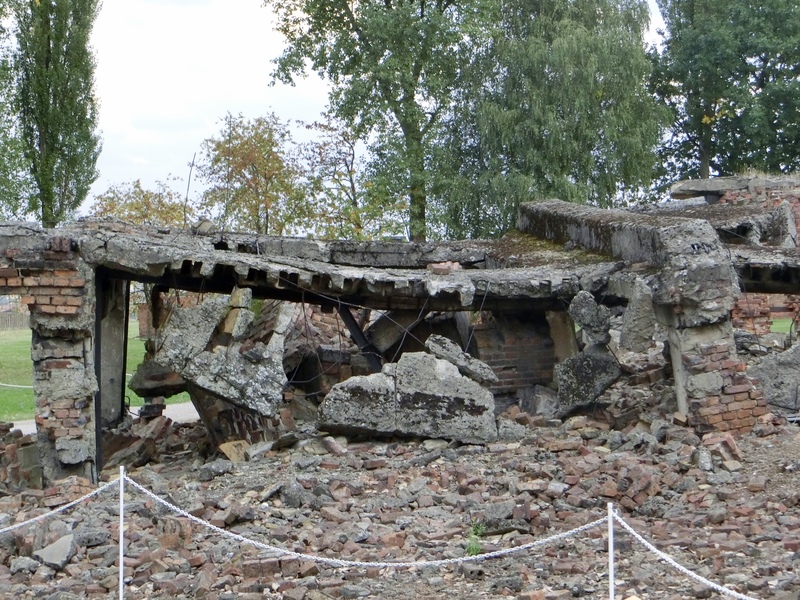 The Jewish prisoners attacked the Nazis with stones, axes, and makeshift hand grenades- whatever they could use to fight. Three Nazis were killed in the uprising, but the fighting was suppressed by night fall, and those who had fought were executed and those who had escaped during the fighting were found, and executed. 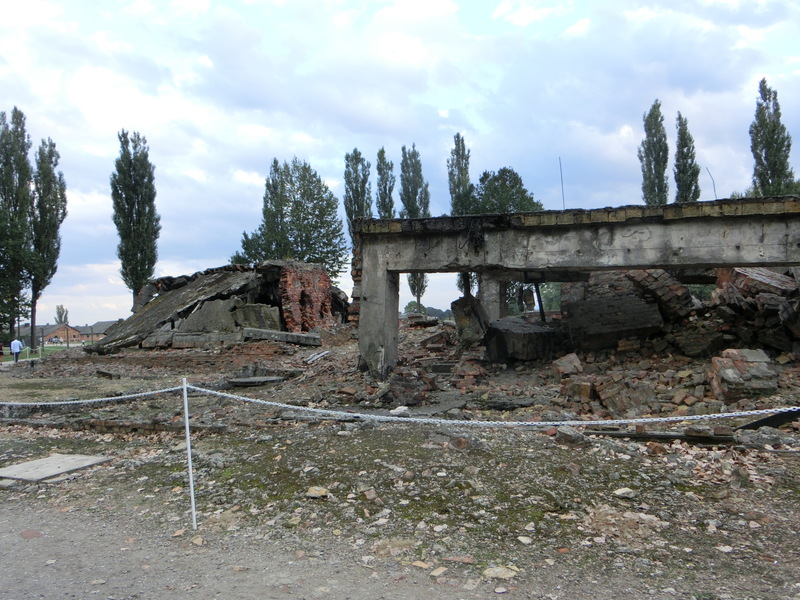 During the fight the prisoners had set fire and destroyed crematorium IV, and today the crematorium is left as it was since October 7th, 1944. It is left as a memorial to those who fought and risked the last bit of their life to fight against a wickedness that most can not fathom. Though they died in the fighting, the crematorium was brought down, and there was one less gas chamber, and with that lives were spared. I inquired from prisoners who had been there for some time where my colleague and friend P—— had been sent. “Then you can see him there,” I was told. “Where?” A hand pointed to the chimney a few hundred yards off, which was sending a column of flame up into the grey sky of Poland. It dissolved into a sinister cloud of smoke. “That’s where your friend is, floating up to heaven,” was the answer. But I still did not understand until the truth was explained to me in plain words. This entry was posted in Poland and tagged Auschwitz-Birkenau, Birkenau uprising, concentration camps, Jewish memorials, Man's Search For Meaning, Poland, uprisings, Viktor Frankl, world war II. Bookmark the permalink.